Retiring abroad, and launching a new life in a new country is the adventure of a lifetime. But with an endless array of choices, from white-sand beaches to mountain living, and from Old World culture to ultra-modern metropolises, how do you decide what’s best for you? We are here to make that decision a little bit easier for you. We have spent the last year compiling the information you need to make an informed decision. Our editor and writers have travelled to the four corners to enable you to more easily decide which retirement location best suits your needs. We believe you are never too old to learn, and we never rest on our laurels. This is why we have spent months on-the-ground throughout 2019, ensuring our 2019 recommendations are up-to-date and comprehensive. As for the result, we believe this country-by-country comparison is the best we have ever produced. As with everything we do, it has been written with you in mind. We don’t tell you what to think. Instead, we give you the information and let you draw your own conclusions and come to your own decisions. After all, the retirement you are seeking is unique to you, with your own personal preferences, lifestyle, and needs. Our dedicated team has been working overtime this year to compile this report for you. All the data, and all the facts and figures are the work of real people, on the ground in the countries we report on. With you in mind, we have asked the questions you want answering to find the top retirement locations. Our local experts and expats have helped us to ensure no stone was left unturned in our quest to deliver an index offering true value and practical advice. This year we have 21 destinations, including 10 new entries, covering the spectrum of every lifestyle option. Are you on a budget and concerned with keeping a low cost of living? Or is a warm and sunny climate your top priority? For many people healthcare or moving to and English-speaking destination are the most important things. Whatever your benchmark, we have you covered. We’ve added 10 new destinations, from across the globe, to our list this year. We have new entries from South America, Europe, Asia, and the Caribbean. Many of these destination are not well-known and not yet on the mainstream radar. As ever, we are exploring new locations in our quest to give you the best retirement options. This does mean we have had to pass on some old favorites. Although most remain great options, the rapid rise of some of our new destinations left us with no choice but to leave them out. For the sake of precision, we concentrate on cities (and a couple of regions), rather than countries as a whole. No country is a perfect fit. A vast, diverse country can offer hugely different lifestyles. By concentrating on cities, we can provide the more specific information our readers demand. Unlike some other publications, we don’t pull any punches when it comes to mentioning the potential downsides. If the pollution is bad, health care substandard, or cost of living expensive, we will tell you. Each report in the Overseas Retirement Index is divided into categories which our readers have told us are important to them. The categories are cost of living, climate, health care, entertainment, recreation, whether English is spoken, expat community, infrastructure (broken down to include, internet, electricity, and domestic access), international access, environmental factors, crime, affordability of real estate, residency, and taxes. We’ve been researching, compiling, and publishing indexes rating and ranking the world’s best places to retire overseas for as long as we’ve been covering this retire-overseas beat… and that’s been over 30 years. However, please keep in mind this whole process of retiring overseas is about you and what your retirement will look like, no amount of data can replace that feeling you get when you know you’ve found the place that is just right for you. Before we get into it, it is worth making a special mention to our number one Overseas Retirement option, the Algarve, Portugal. At the risk of contradicting what was said earlier, the Algarve scores highly across the board. For this reason we have it as our standalone winner, the place which will appeal to the most people. This is the probably the most frequently asked question we get, year-in and year-out. As ever, the answer is “it depends on you”. To find out, imagine your ideal lifestyle and make a list of what you want from your new life. Then look at the numbers in that context. Where will your budget allow you to buy the lifestyle you’re looking for? The important thing to remember when thinking about your retirement is, don’t compromise. Don’t tell yourself you can live without the things you love. If the place you had in mind doesn’t fit with your ideal lifestyle, keep looking. Be honest with yourself and move for the right reasons to a place where you will be happy. Leading the way for good cost of living is Da Lat, Vietnam. Although many Americans still associate Vietnam with the stigma of the earlier conflict, a lot has changed. Vietnam is a forward looking country with a fast growing economy. The people are welcoming and Vietnam offers you the chance to stretch your dollars without much in the way of sacrifice. A couple’s basic budget comes out at under US$1000 per month. Dinner at a local restaurant costs between US$1 and US$4; a Coke costs 50 cents; a loaf of bread is 45 cents. The food sold in small cafes and food stalls is so good many people simply never cook. However, it’s worth pointing out that Da Lat is a regional town in Vietnam. Imported goods are hard to come by, and expensive. If you can’t do without imported goods, your cost of living will rise rapidly. Proving not all of the Caribbean is expensive, one of our best options for a low cost of living is Santo Domingo, in the Dominican Republic. A couple can live here for less than US$1,800 (about 90,000 pesos). By Caribbean standards this is a bargain. It’s possible to live here on your monthly Social Security Check. This alone would allow you to live well, without the need to count every penny as you might at home. A budget of US$2,500 per month would allow you to live very comfortably. You could afford to spend more on entertainment and have some money for household help. Buying a property in Santo Domingo reduces your monthly living costs even further. You can buy an apartment for under US$100,000. Da Nang somehow manages to feel like a small-town, despite having a population of over a million people. Da Nang is very cheap by U.S. standards and a couple’s basic budget for a month will be about US$950. Like Da Lat, avoiding imported goods is the key to keeping your costs down. From the cost of treatment to the ease of access, health care is something you don’t want to take any chances with. In this category Portugal, France, Italy, Malta, and Colombia, shine. Public health care in Portugal is available to legal foreign residents, who are registered with their local medical center. The standard of public health care is good in the Algarve, and WHO rates Portugal 12th in the world. As with many European countries, the public hospitals are better equipped to deal with medical emergencies than the private hospitals. Still, private health care is world class and the Algarve has two large private hospitals. Faro Hospital, its cardiology unit in particular, has a reputation for excellence. France comes out top of WHO’s International Health Care rankings. Paying into the French Social Security system covers most of your health care needs. Doctors still make home visits and the feeling of being rushed out the door is not one you will experience in France. Private health care is perhaps slightly better, but most people choose to pay into the Social Security system. It is cheaper and the benefits of going private are negligible. Malta has one of the best health care systems in the world. The Knights Templar opened the first hospital in 1372, it was used to care for the pilgrims making the long voyage to the holy land. Malta has modern public and private facilities. All of the staff are highly trained, and most are fluent in English. These factors have contributed to Malta becoming a popular destination for Medical tourism. Foreign residents are required to have private medical insurance, but premiums are lower in Malta than in the U.S. House calls are available and cost around US$15. Health care in Colombia is the best in South America, and compares with anywhere in the world. No matter how complex the procedure, you will be able to get treatment in Colombia. If you are looking for dental work or cosmetic surgery, Colombia is a world leader. Medical tourism draws people from the United States and beyond. 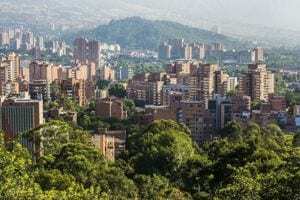 Attracted by the low prices and high standards, this medical tourism boom is helping to keep Colombia at the forefront of pioneering medical treatments such as stem cell treatment. In our residency options category, we start off with: Where are the easiest places to become a resident abroad? Why would anyone want to become a legal resident of another country? Where should you do this? How do you do this? And how much will it all set you back? All of these questions and more we cover in our residency options for retiring overseas. Portugal and its Golden Visa still top the list for easy residency. Once you meet the minimum spend threshold for your Real Estate investment, you qualify for a Portuguese Visa. A European Passport is a valuable commodity and investing in Portugal is one of the easiest ways to obtain one. Central America and the Dominican Republic score strongly here. How do you picture spending your time in retirement overseas? Do you crave museums and café culture…? Or perhaps taking dance classes or learning how to fly fish? Is a trip to the movies part of your weekly staple? Or do you prefer a trip to the theatre or opera? Whatever you’re after, it’s hard to look beyond Paris. Paris has been the paradigm for world culture for hundreds of years. 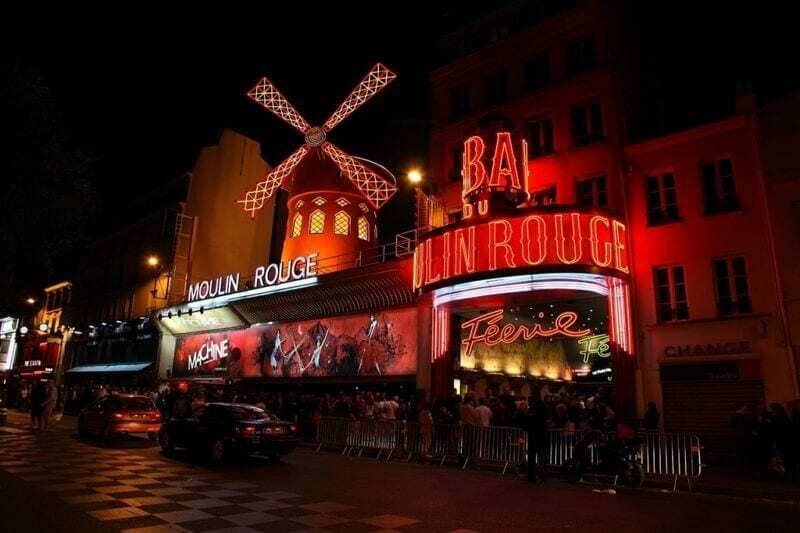 From the countless churches and cathedrals, to the dozens of museums and hundreds of galleries, to the universities and varied classes of all kinds you could enroll in… Paris caters to your every cultural need. There is always something new in town and it is safe to say you will never be stuck for something to do. A big part of Malta’s popularity is its rich history. There are nine UESCO World Heritage sites along with churches, cathedrals, museums and galleries. Unsurprisingly, there’s a thriving arts scene which encompasses everything from Opera to hip-hop dance festivals. The April firework festivals which pit the different firework factories against each other in a dazzling display competition are an annual highlight. Is your idea of keeping busy more outdoorsy? Do you long to go hiking in the crisp, cool mountain air, or take a yoga class on the beach under the early morning sun? Do you want to relax at sea, sailing or surfing? The two Abruzzo destinations, Città Sant’Angelo, and Popoli, can offer this and more. Città Sant’Angelo is perfectly located to offer superb mountain and beach options… The nearest ski slope is an hour away. There are several places perfect for paragliding and hang-gliding. The popular seaside town Silvi Marina is just 15 minutes from town. During the summer months the beach is perfect for swimming. Sailing and fishing are popular throughout the year. Popoli has multiple ski options within an hour. Less than an hour away is Campo Imperatore, one of the best ski resorts in the region. And you’re only about 40 minutes from the coast here. You have access to the beach, but are far enough away not to be bothered by the crowds who descend on the area during the high season. The Algarve is agolfer’sparadise, with some of Europe’s best golf courses in the region. There are 89 Blue Flag beaches, many of which can be almost empty for mile after mile. The sea provides great surfing, windsurfing, and fishing, which draws tourists from all over the world. Inland, there are mountain bike trails, and hiking. For the category of English Spoken it really comes down to two destinations, Belize and Malta. Both countries have English as an official language. While some English is spoken in most of the countries on this list, there are just two locations who have it as their official language. In Malta, all business, banking, and legal affairs are all conducted in English. While the locals often speak in Maltese to each other, everyone here speaks fluent English. If you don’t want to, you never need to speak a word of Maltese. Belize is the only location in Central America where English is an official language. Spanish and Kriol are also spoken throughout Belize but you are not required to learn them. Bled, the Algarve, and Mazatlanall have areas where you can get by on English alone. The number of English speakers in these places is likely to continue growing in the coming years. 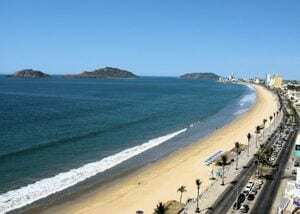 There is one clear winner in this category, Mazatlán, Mexico. If making new friends overseas is one of your priorities, then Mazatlán is the place we recommend you go to. Not only will you find plenty of like-minded friends, but the locals are renowned for being warm and welcoming. You will find art classes, trip to the theater, walking groups, book clubs and lots of other activities. There are also volunteering opportunities. The Algarve is popular with Brits and Europeans and the success of the Golden Visa program is attracting more American’s and Canadians to the Algarve. There are lots of expat groups and many opportunities for volunteering. The number of expats is continuing to grow as more people take advantage of what the Algarve has to offer. Mexico, in general, is home to a staggering number of North American expats. Current population estimates from Mexico have uncovered over a million Americans and over 500,000 Canadians living at least part time in the country. 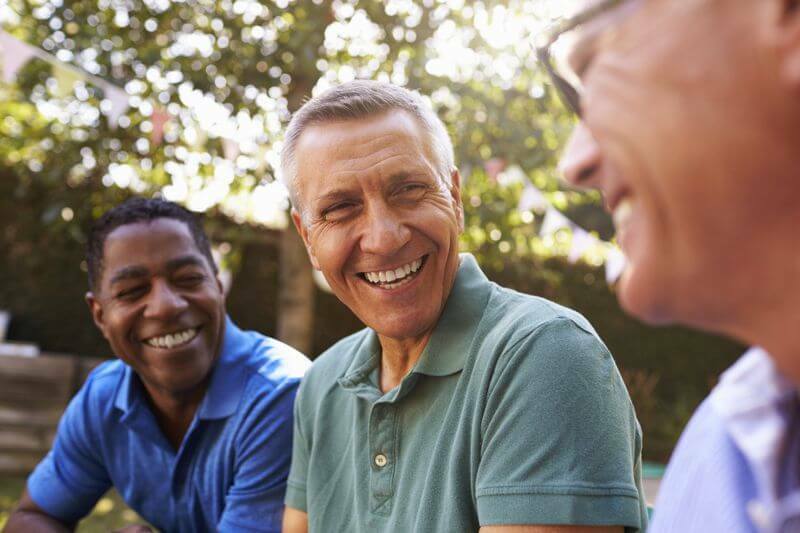 According to AMAR, the Mexican association dedicated to retired expat living, North American expats are expected to number more than 2.5 million by 2020.